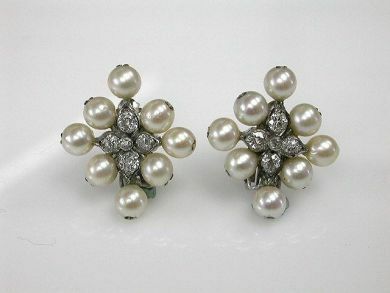 One pair of 10 karat vintage earrings. Sixteen cultured pearls. Ten old European cut diamonds (1.15 carats: VS-SI clarity: H-I colour).